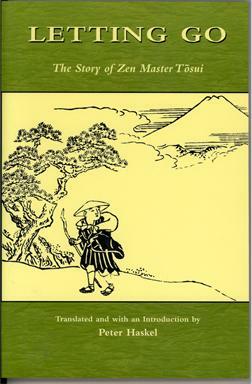 An important aspect of the First Zen Institute’s mission is to make the teachings of Sokei-an available. Mary Farkas, who presided over the First Zen Institute for more than 40 years, initiated this effort through the quarterly newsletter Zen Notes, which also chronicled the early history of Zen in the US. This effort has continued since her death in 1992. 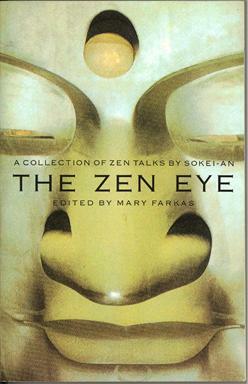 As Farkas noted in the introduction to Zen Eye, the first published collection of Sokei-an’s talks: “For years people have been carrying pages of Sokei-an's words around in their pockets as well as their minds. It is time to put them in more permanent form." In many cases, Sokei-an’s lectures and talks have been painstakingly compiled by comparing four sets of notes in longhand from devoted students. 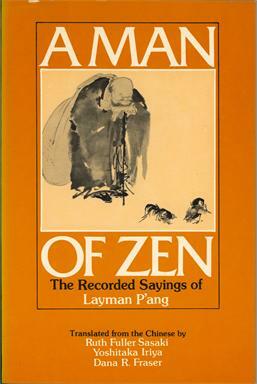 In addition to publishing Zen Notes for the last half century, the Institute has produced several full-length books (noted below). The Institute welcomes the services of typists, copy editors, Japanese-to-English translators and researchers to assist in the publishing of his and other works. More of Sokei-an’s wisdom as conveyed through his talks. With an introduction by Mary Farkas, who writes: "It is not necessary to know anything about Sokei-an's personal life to understand his wisdom as expressed in his own words. Nor is it necessary to know anything about Zen's theory or practice to receive his Dharma transmission. If you listen with your inner ear, your Zen Eye will open, and as your mind clears, your own wisdom will appear. For years people have been carrying pages of Sokei-an's words around in their pockets as well as their minds. It is time to put them in more permanent form." 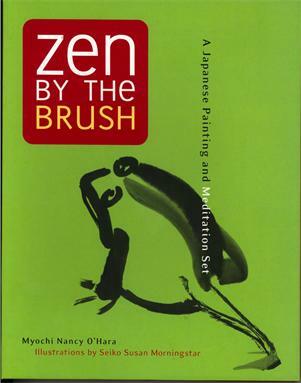 A companion volume to Zen Eye, Zen Pivots continues to explore the vigorous and eloquent teachings of Sokei-an Sasaki, the first Zen master to bring the living thought and practice of Zen to Americans in their own language. 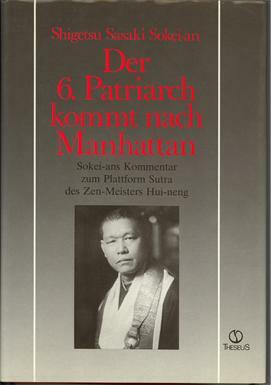 Bases on talkes he gave to his students in New York City in the 1930s and early 1940s, the book shows the astonishing range of Sokei-an’s grasp of Buddhist thought and his shrewd sense of how this exotic teaching could be translated into the everyday life, language and culture of his adopted land. Sokei-an Sasaki (1882-1945),was, in many respects, the original Dharma Bum: a sculptor, poet, Zen student, and journalist, whose favorite subject was America. He arrived in San Francisco in 1906 with the mission of bringing Zen to America. After his teacher returned to Japan in 1910, he wandered alone through the American West and lived a bohemian life in the Greenwich Village of the Roaring ‘20s. 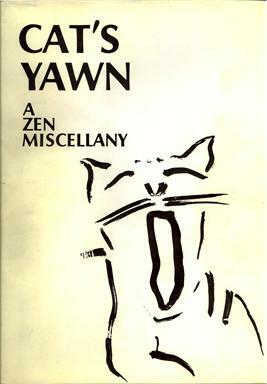 His accounts of his childhood in Meiji, Japan, his struggle to transform himself through Zen, his experiences teaching Zen to New Yorkers — which led to the founding of the First Zen Institute of America — his run-in with the FBI, and his internment on Ellis Island are all conveyed with charm and humor in this autobiography of one of the great pioneers who introduced Zen Buddhism to America. 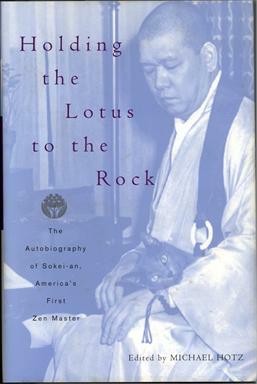 Edited to form a chronological autobiography, Holding the Lotus to the Rock includes the full range of Sokei-an's poetry, short stories, photos, letters, and translations and writings on Buddhism. 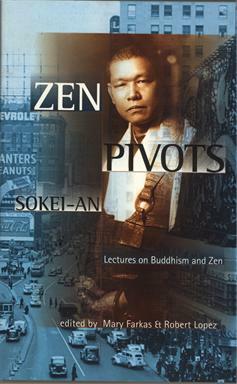 Sokei-an's writings have long been an underground pleasure for American Zen students. Original Nature: Zen Comments on the Sixth Patriarch's Platform Sutra translation and commentary by Sokei-an, edited by Mary Farkas, Robert Lopez and Peter Haskel (unpublished manuscript). 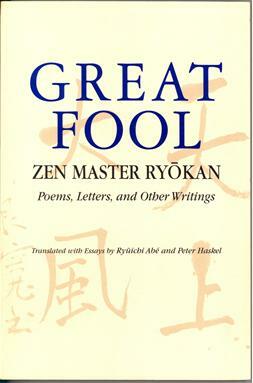 Translated and with an introduction by Peter Haskel University of Hawaii Press, 2001). Poems, letters and other writings translated with essays by Ryuichi Abe and Peter Haskel. (University of Hawaii Press, 1996). 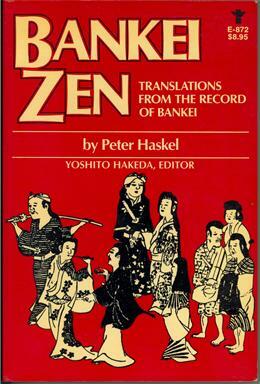 by Peter Haskel (Grove Press, Inc, 1984). 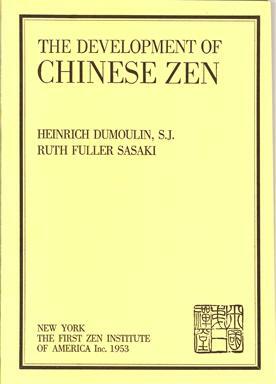 by Ruth F. Sasaki (Institute for Zen Studies, 1975). 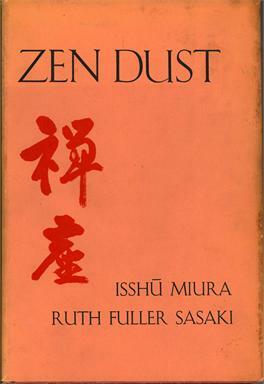 translated from the Chinese by Ruth F. Sasaki, Yoshitaka Iriya and Dana R. Fraser (Weatherhill, 1971). 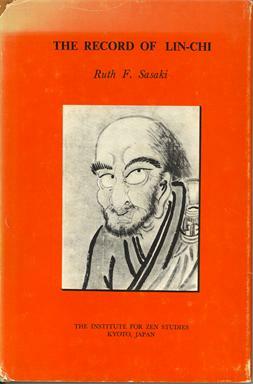 by Isshu Miura and Ruth F. Sasaki (Harcourt, Brace, 1965). by Isshu Miura and Ruth F. Sasaki (Harcourt, Brace & World, 1966).